Our connection to our children means everything to their growth and development. Parents can engage in fun and simple activities to strengthen their relationship with their child. It’s the difference between a confident child and an insecure one, a cooperative child and a defiant one, one that agrees to set the table and one that scoffs (ok, most of them scoff either way but what’s important is that they still set the table). What variable could account for whether or not a child is getting their emotional needs met? Relationship. 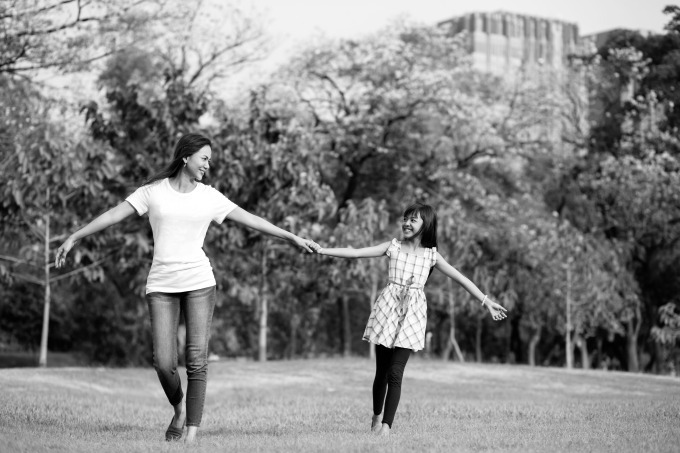 Our early attachments and ongoing connection to our children fostered through love, nurturance, and guidance is a strong predictor of our child’s success in many areas of life. We’ve heard a lot about attachment in our child’s early years, so the concept and importance of bonding with our baby seems obvious. 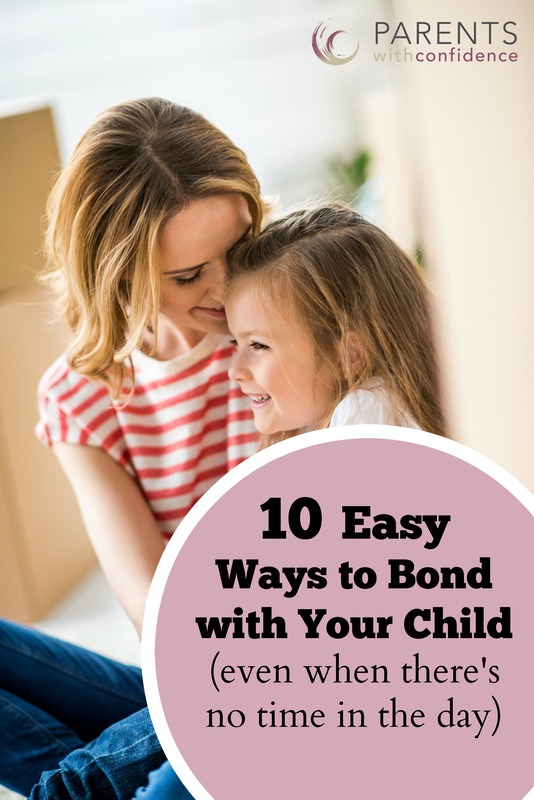 However, just because your little one has grown to become a lot bigger, smellier, and sassier doesn’t mean your bond and connection with them is any less vital to their development. In fact, it continues to be of the utmost importance throughout childhood. Life with kids is busy. It’s not uncommon at the end of the day to find yourself wondering whether you even sat face to face with your child. Here’s the good news: You’re likely already engaging with your child in activities that promote a strong parent-child relationship. We all know reading with children is a simple way to improve their language and reading skills. But research also shows that reading with children actually stimulates patterns of brain development responsible for connection and bonding. This makes sense when we consider that story time usually involves cuddling, eye contact, and shared emotion. If you make reading together a priority in your home, you are without a doubt connecting with your child. Engaging in art or craft activities with children is an awesome way to provide not only a fun and enjoyable experience, but a therapeutic one as well. No matter their age, you’ll be hard-pressed to find a child who can’t find an art medium that interests him. When engaged in a creative process with children, we provide an outlet for them to express their thoughts and feelings. This is especially true with younger children, who aren’t yet able to verbalize their complex emotions. When your child has access to a creative outlet, odds are that interactions between the two of you will be more positive. Whether listening to them play an instrument or dancing to the “Trolls” soundtrack together, music offers lots of benefits for both parent and child, including bringing our awareness into our bodies and into the current moment. 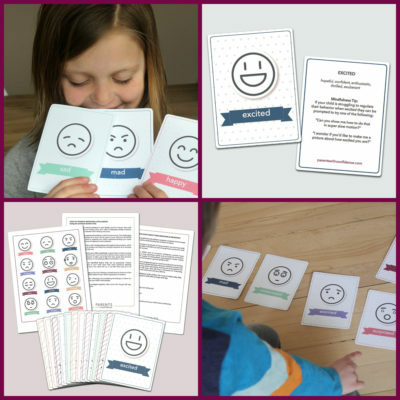 Your kids will be practicing mindfulness without even knowing it! It’s pretty difficult to focus on a mistake at school yesterday or the test coming up tomorrow when we’re busy processing auditory input as well as coordinating our motor skills. Feeling stressed? Stress is often a huge barrier to parents engaging with their children. Spending time with your child out in nature will go a long way to increase emotional health and physical well-being for both parties. Research tells us that exposure to nature reduces our blood pressure, heart rate, muscle tension, as well as the production of stress hormones. Nature is no joke. Even if you don’t have time to go for a hike, simply water a plant together. These studies show similar effects can be derived from even small amounts of nature. Play is the language of children, so it only makes sense that we should try to connect with them though something that comes so naturally. 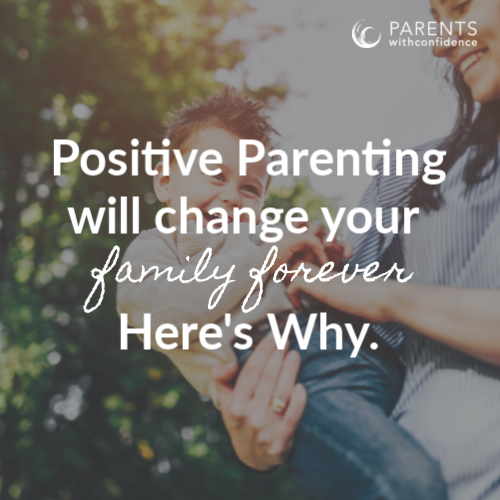 When parents enter their child’s world and follow their lead in play, they open up the possibility for many positive outcomes, including taking on a different relationship role and seeing our children from a new perspective. Engaging in play together also gives our child the chance to view us as an ally and not as an opponent breathing down their neck all the time. Research has consistently shown that playing with children decreases attention seeking behaviors (hello, whining) and separation anxiety by fulfilling their emotional needs. So, Shopkins, here we come! Studies have found that humans are able to identify specific emotions of love, gratitude, and compassion through blind touch. 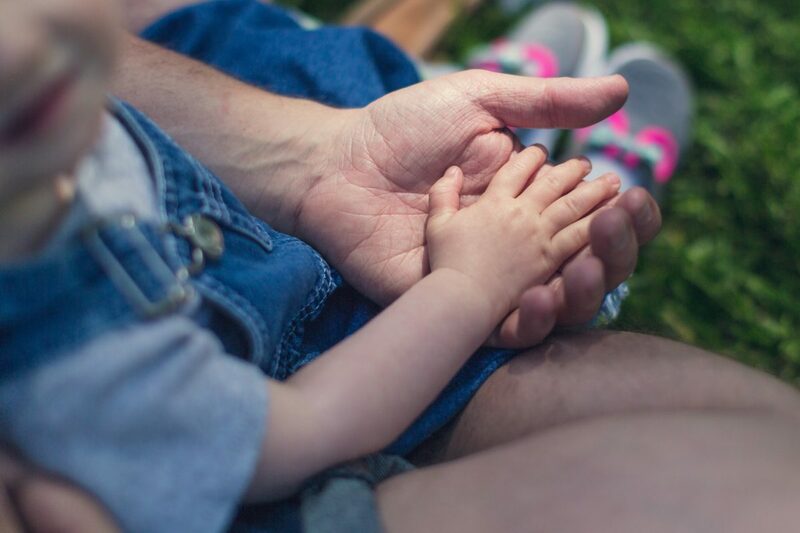 Through this lens, it’s easy to see how touch plays a major role in forming strong connections between parent and child. Touch has been proven to be a helpful intervention when done in a way that is respectful to both the child and parent. 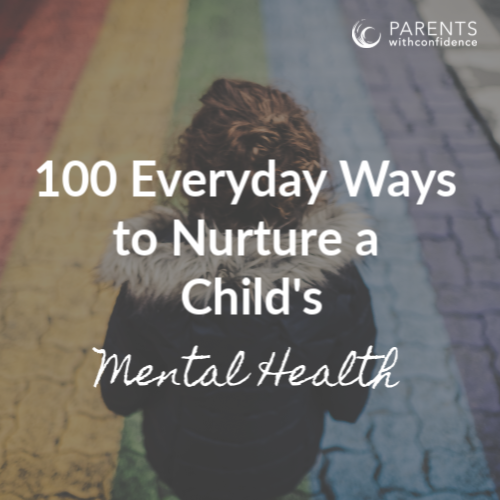 If your child happens to be struggling with her emotions, or has emotional or behavioral challenges, cue the piggy back rides and living room wrestling many of us grew up with. Family mealtimes tend to be stress-laden. This is usually caused by trying to remove children from the scene of meal preparation. As most parents can attest, this automatically prompts our children to persist in their crusade toward the kitchen. Why not save our energy and use this time for precious connection and partnering? Research has shown that involving children in meal preparation helps foster family bonding and togetherness, and even reduces behavior problems. Although having kids in the kitchen may be a bit more time consuming and a bit less convenient, the positive effects are totally worth it. Yes, kids still like to play board games (although I’ve had kids come into my office who don’t know what they are). The reciprocal nature of the interactions involved offer many benefits to the parent-child relationship. The give-and-take nature of board games mimics the back-and-forth rhythm of a conversation, making it a natural context for children to share what’s on their minds. Board games also provide opportunities to work through challenging emotions, giving parents a prime opportunity to reflect these feelings back and assist our kids in finding appropriate ways to express their frustrations. Okay, so you may be thinking, “Listening isn’t an activity!” But I would argue that approaching it as such will do wonders for your relationship with your child. Caught up in the daily current of work and responsibility, it can be challenging to truly listen to our children in a way that is beneficial. To listen well, we need to put specific skills into practice, such setting aside all other distractions and cultivating genuine interest. When we do this in combination with active listening – sustained eye contact and reflecting back what we hear – we’re on our way to connection city. For older children, writing and journaling produce great benefits, including the reduction of stress and improved personal health. While journaling has been mostly relegated to a solitary activity, literally under lock and key, both parent and child can communicate and connect through collaborative journaling. Many journals provide a forum for both parent and child to join in a journey of self-expression and self-discovery that builds essential life skills of communication and problem-solving. 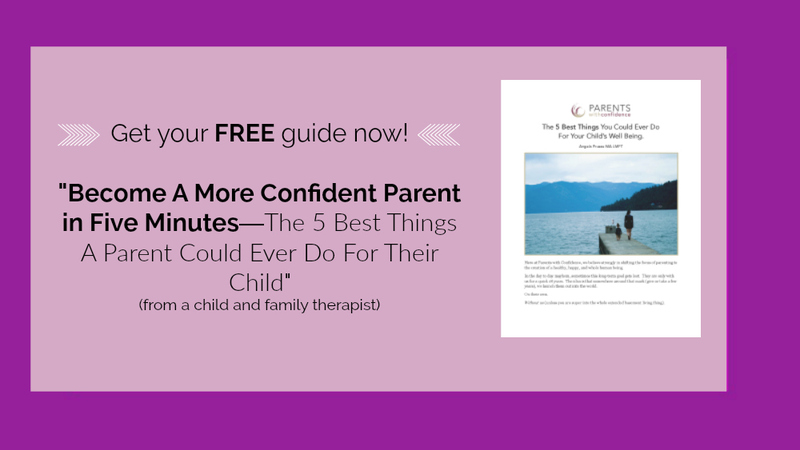 Odds are you already connect with your child in some of these fun and easy ways. The more we invite opportunities for connection, the more we get to fully enjoy and delight in the stinky wonderful little beings we’ve created, not to mention we will likely have a nicely set dinner table waiting for us too. P.S. Get research- backed info on the art and science of raising an emotionally intelligent child by signing up for the PWC weekly newsletter.